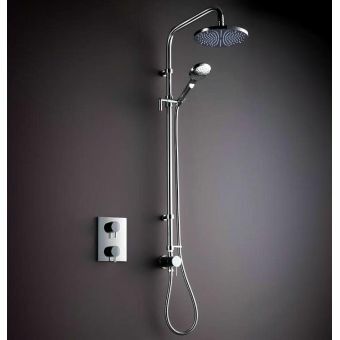 For those looking for functionality, this Matki New Elixir Classic Design with Curved Wall Assembly fits well with any model of the Matki shower designs. 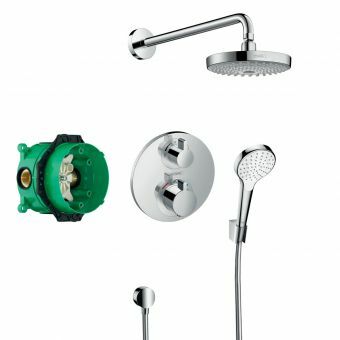 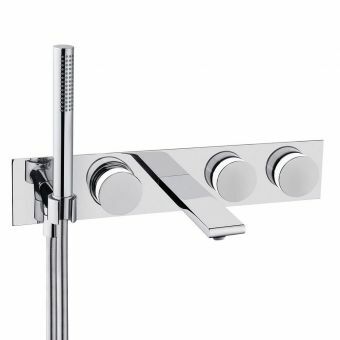 Featuring a chrome finish and solid brass plating, the Matki New Elixir valve is compatible with both low- and high-pressure shower systems, while exposed thermostatic valve technology allows for varying degrees of temperature controls for comfort. 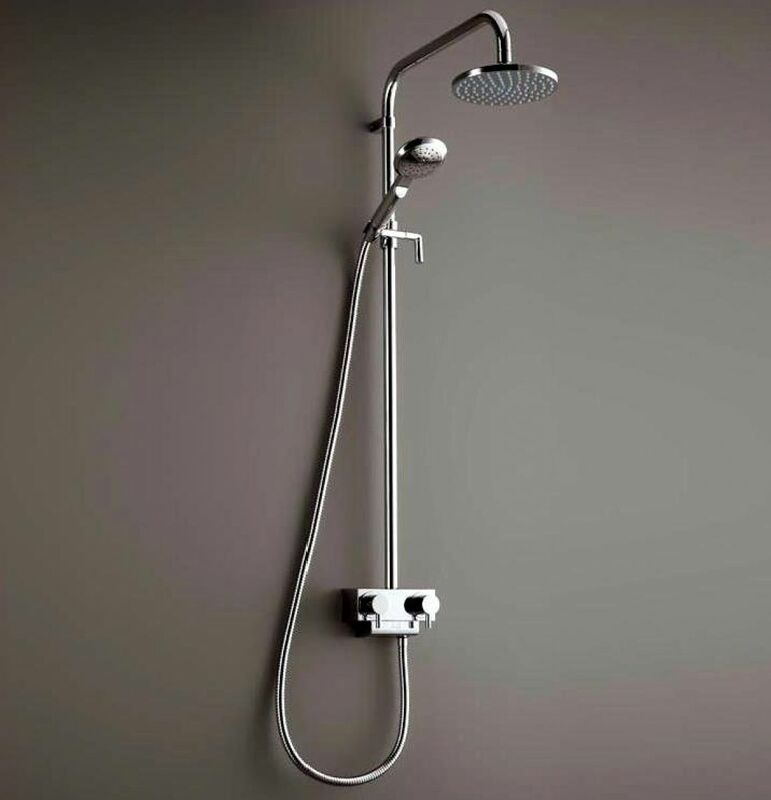 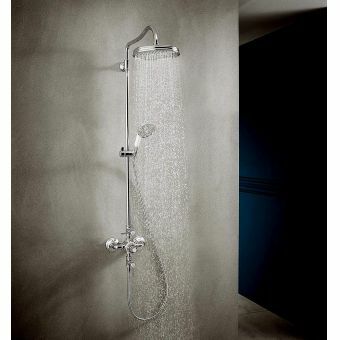 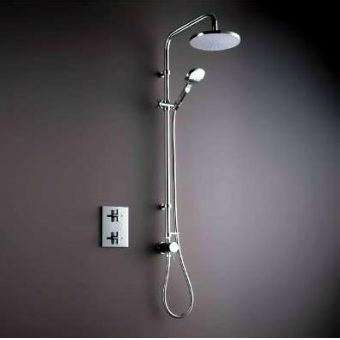 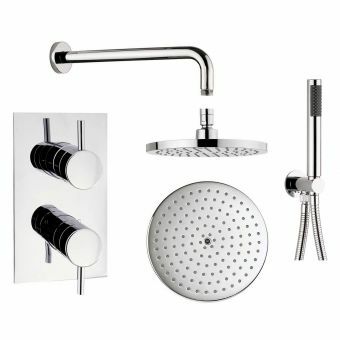 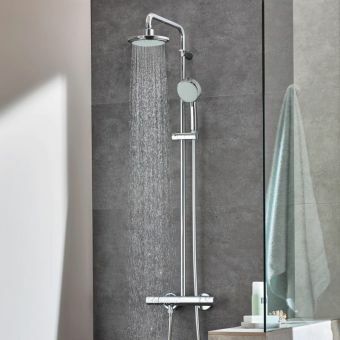 The stylish and elegant Matki Elixir Classic design comes complete with an easy-clean deluge shower head that measures at 180 mm. 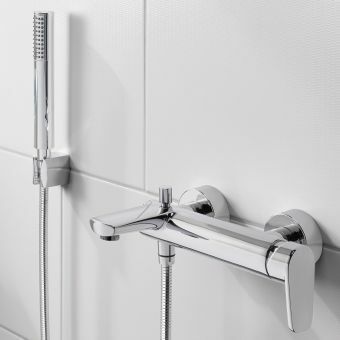 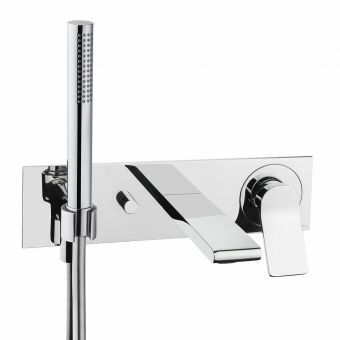 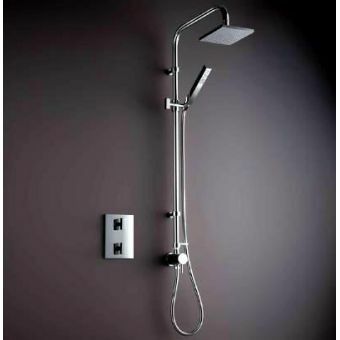 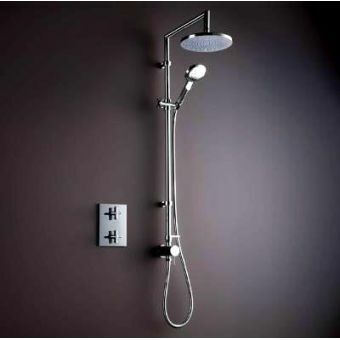 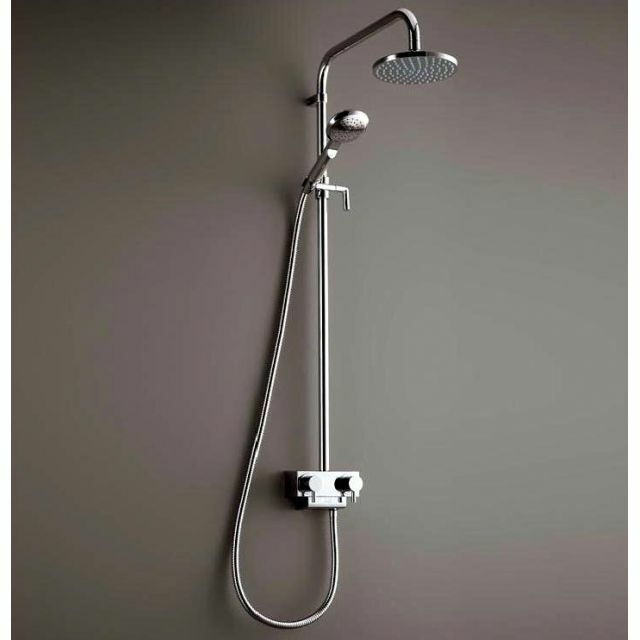 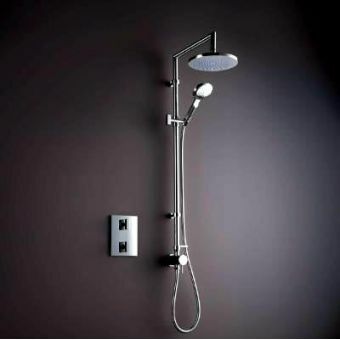 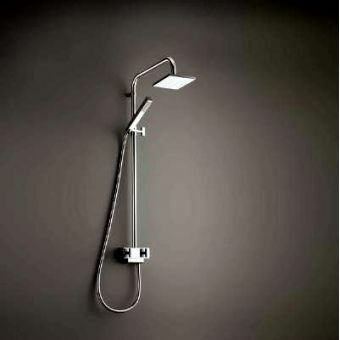 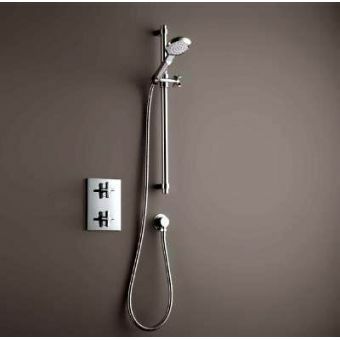 Also included with this model are an easy-to-clean soft spray hand shower and a double-spiral hose, allowing for the Matki New Elixir Classic Design with Curved Wall Assembly to provide flexibility in addition to comfort. 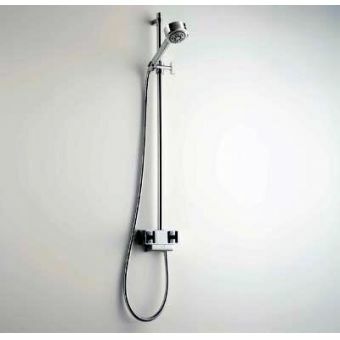 The device's curved wall assembly comes packaged with a diverter that allows for easy installation.